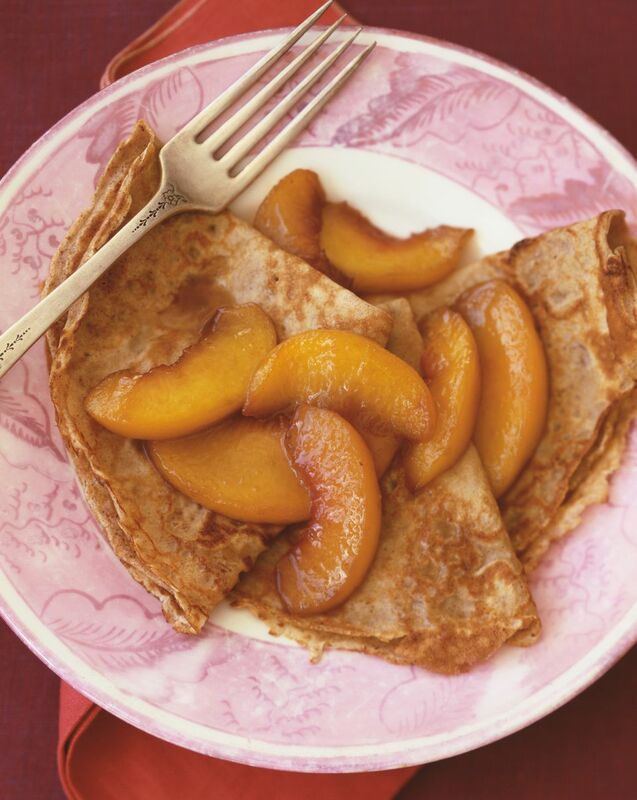 These crepes from Brittany are used for main dish and savory breakfast fillings. Tomatoes and spinach or thinly sliced ham with shaved cheese are both popular options to use along with this recipe. Whisk all the ingredients vigorously until the crepe batter is completely smooth; allow it to rest in the refrigerator for 2 hours before making into crepes. Melt a little butter in a crepe pan or large skillet over low-medium heat. Add 3 tablespoons of batter to the pan and swirl until the bottom of the pan is covered with batter. Cook the crepe for 1 minute, or until the crepe is slightly moist on top and golden underneath. Loosen the edges of the crepe, slide the spatula under it, and then gently flip it upside down into the pan. Cook for 1 minute and transfer the cooked crepe to a plate to keep warm. Repeat with the remaining batter.